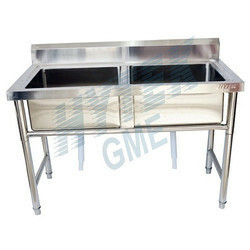 Table with sinks we manufacture very durable sinks. 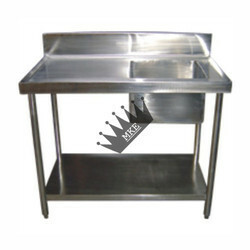 We use quality raw materials to fabricate them such as stainless steel and many more other materials. They are suitable to keep in kitchens as they occupy very less space and are easy to install too. Our sinks are also corrosion and abrasion resistant.